For the rock and metal scene of Copenhagen, January is always equivalent to showcases; in the beginning of the month there is The New S**t Showcase and in the other end there is When Copenhell Freezes Over. Where the former is more focused on the up-and-coming talent of Denmark, the latter shines a spotlight on artists that already have quite a bit of experience both in terms of releasing music and playing concerts, but could still use that final push in order to achieve more widespread recognition — especially abroad. This is why there are lots of industry types mixing with the general audience at VEGA tonight, invited by Copenhell and hoping to scout Denmark’s best prospects for the festivals, tour bookers and record labels they represent, and why this event is such a coveted opportunity for the six hand-picked bands. Given that those six artists have so much at stake, attendees can thus feel assured that all of them are going to try to put on the show of their career, which explains why When Copenhell Freezes Over is once again sold out. Reprising their role as the opening act, the first band on the Lounge stage is the elusive (0), whose performance at the aforementioned New S**t Showcase was unfortunately marred by sound issues. Not so tonight, and with all the melody of the first track, “(1136)”, permeating the rumble of the bass and drums now, the quartet is able to make a striking impact at once, drawing the audience (myself included) into the vast and mysterious soundscape of that song with the help of abstract, monochrome projections flooding the stage and seeming to remove all shape and form from the four musicians and indeed the stage itself. The following “(441)” then delivers a stark contrast to the opener’s shoegazing and post-black metallic style, rolling out a d-beat as it nods at Darkthrone and Motörhead alike before “(338)” arrives to slow the proceedings down to a droning crawl while the visuals turn to static. One cannot blame (0) for a lack of eclecticism thus, and while the closing piece, “(1136)”, outstays its welcome in my book, it is easy to understand where the hype surrounding this outfit is coming from. Agnosticism toward genre is an excellent way to get noticed these days, and the sheer variety on offer in the four songs that comprise both the setlist and the band’s eponymous début EP from 2017, certainly makes an impression. The combination of atmospheric visuals with a wildly expressive frontman and a gaze from the bassist that could turn man into stone also renders (0) a captivating live act — the allure of which is starting to open up to me at last. Big things are in store for (0) if they continue to hone their songwriting craft and put on performances like this in the meanwhile. While I’m walking down the stairs toward the main stage, I suddenly realise that I have never actually seen this band live before despite reviewing both their first EP, 2010’s “Ulterior Motives”, and their début album, 2016’s “Course of Events”. 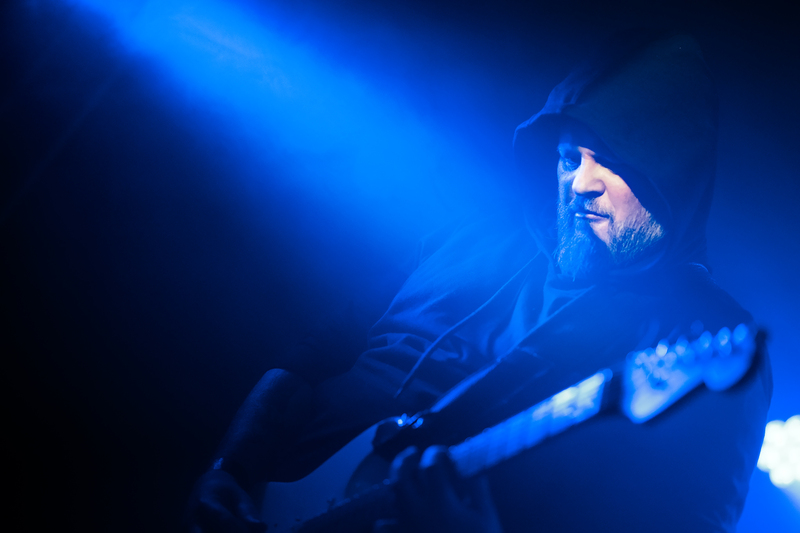 Nearly a decade into their career, the Copenhagen-based act has evolved into a potent force on stage, striking a nigh perfect balance between ultra-jazzy technical metalcore and sensibilities obtained from pop music. 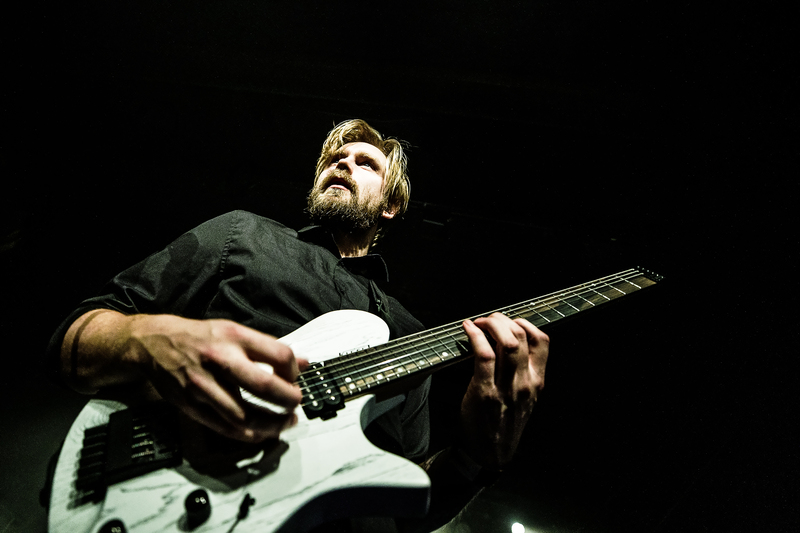 Johan Pedersen makes for a formidable vocalist, distilling all of his passion into an almost pained expression and using every inch of space available to him to carry out his energetic antics, literally bouncing off the walls at times. His singing voice does sound a bit hoarse during the opening track, but by the time “Canaille” (off last year’s “Fervor”) is aired, his throat has cleared itself, rendering both that and the subsequent “Black Swan” into definitive highlights of the set. Part of Pedersen’s prowess as a frontman also stems from the grace with which he retreats from the spotlight during instrumental passages, directing attention toward the rest of the band, whose showmanship is equally enticing in its own way. They really like to wear that signature prog-smirk that seems to be a symptom of odd time signatures, and really groove to the tune of their syncopated riffs and rhythms hilariously self-satisfied, leading many in the audience to do the same ‘dance’. A band this good at writing songs and this tight at executing them deserves to feel good about themselves though — it takes a special talent to be able to combine the anthemic, the nerdy and the savage with such finesse, and to bend and fuse genres so seamlessly. Alkymist’s eponymous début album is yet to reveal its full worth to me, but bathed in dim blue light on VEGA’s lounge stage, suddenly the band clicks for me. Not only are the Copenhageners blessed with the heaviest mix of the evening as befits their stoning, progressive style of doom metal, they play it with the same sort of overpowering focus and lost-in-it feeling as the likes of Suma and Ufomammut, never offering any banter in between their deliveries of sonic devastation. 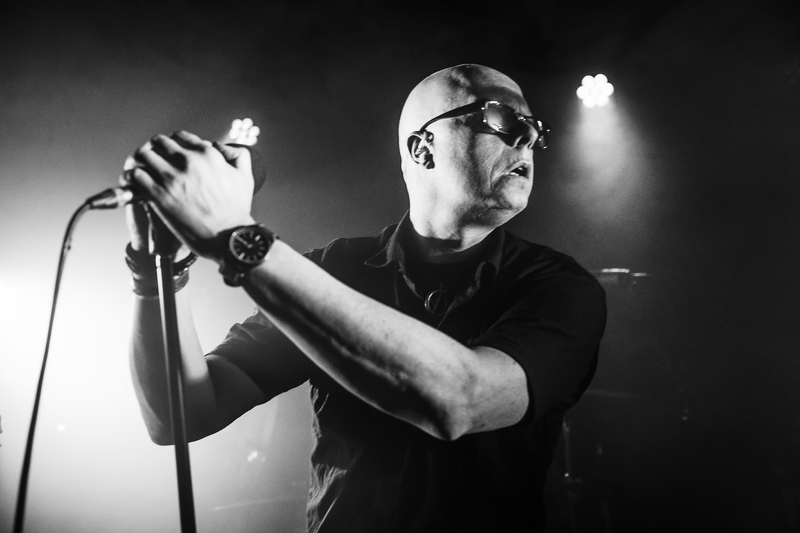 The group’s removal of themselves from the equation in this way gives the music room to breathe and grow and bind the audience to a spell, rendering the experience dark and otherworldly for those of us who choose not to be put off by the uninviting nature of a song like “Djinn”, which bas frontman Peter Bjørneg sounding not unlike Kirk Windstein in his younger years. It is obvious that the pulverising nature of Alkymist’s music is not to everyone’s taste. Plenty of people exit the room during the aforementioned song, but in doing so they forego the consummate highlight, which arrives with the penultimate track, “Paradise”, the tremors from which are likely registered by every seismic sensor in the region. It distills everything I love about slow, riffy music into one crawling, psychedelic behemoth of a stoner-doom piece, finally awakening my interest in giving that début from last year another listen. No band on this bill has earned more hype than Sunless Dawn — a progressive death metal mob from the capital, whose début album, 2018’s “Timeweaver”, found its way to most end-of-the-year lists by the Danish metal media. 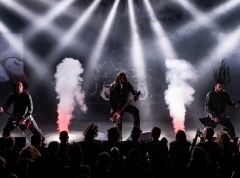 Having been victorious in the Danish edition of Wacken Metal Battle in 2016, the band played to a large audience at the iconic Wacken Open Air that same year, and it shows. The showmanship these five musicians exhibit is of the arena-rocking sort, which, admittedly, feels a bit misplaced to me at first, considering the genre in which this band is operating. But once the second and final track (the three-part “Biomorph”) gets underway via its dreamlike intro segment, “Polarity Portrayed”, the group settles into more introspective stances, eyes closed and lost in the music. Their performance remains intense, albeit in a subtler way now, allowing the full complexity and elegance of their masterpiece to become the focus of the crowd’s attention. One needs to have an existing affinity for progressive music in order to appreciate how good the composition of this song is, I think, but that does not stop the audience from having a blast and honouring Sunless Dawn with rapturous applause when the final segment, “Between Meadow and Mire”, finally brings the proceedings to a conclusion after 16 minutes of nonstop music. While it may seem paradoxical to write this about a live show, I feel Sunless Dawn would benefit tremendously from the five musicians controlling their wilder rockstar-ish impulses and instead relying on the atmosphere created by their music to woo their audience. Indeed, “Timeweaver” is a phenomenal album, one which can stand its ground in the live setting even without any gimmicks or antics. While all of the bands tonight have earned good responses from the attendance, none have been able to incite a riot like Xenoblight. 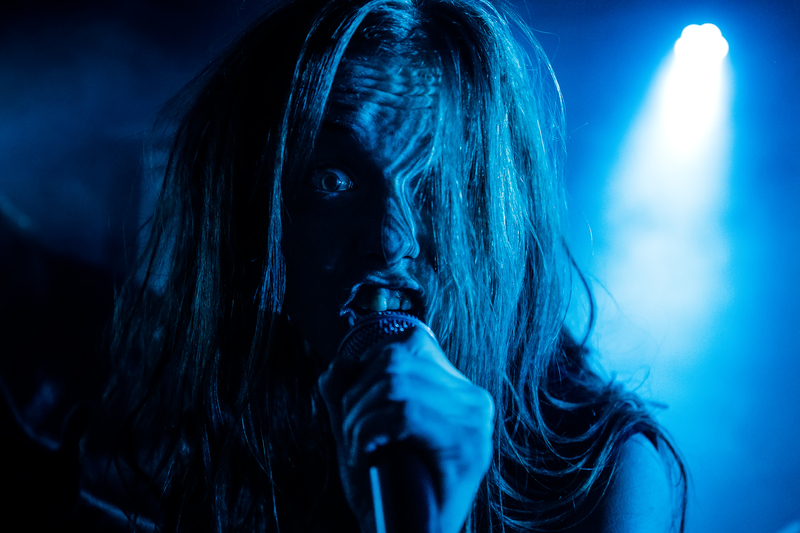 After an eerie teasing intro, vocalist Marika Hyldmar seizes the crowd in her clenched fist, commanding us with a monstrousness that defies her physique, and growling with such savagery it makes you genuinely afraid. I mean… just look at that photo. Xenoblight’s vicious take on blackened death and thrash metal lends itself extremely well to moshing, and expectedly a pit remains active for the entire duration of the Silkeborg-based group’s concert, while crowd surfers fly overhead. With the exception of the slow and groovy “Descension” (off the band’s 2018 début album, “Procreation”), Hyldmar & her cohorts do battle with one method: salvo after salvo of visceral thrash metal such as the 52-second blast of vitriol that is “Kill Yourself”, resulting in a show best described as pure unadulterated energy. Indeed, as the concert ends in total chaos, with the pit looking like an actual melee and Hyldmar riding the arms of the audience as she delivers her final growls. 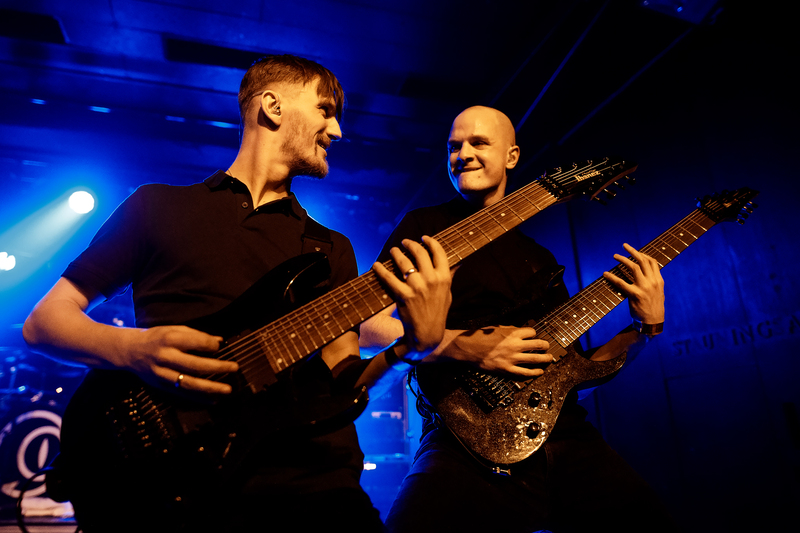 If tonight’s performance is the benchmark for all of Xenoblight’s shows, it is no wonder the band was selected as the winner of the aforementioned Wacken Metal Battle Denmark in 2018 — it is difficult to imagine better representation for this country’s metal scene abroad than the pummelling we’ve just witnessed here. As the only non-metal band tonight, the decision to let Tainted Lady close the proceedings is without a doubt a strategic one, the assumption being that most people will be drunk and ready to sing along by now. 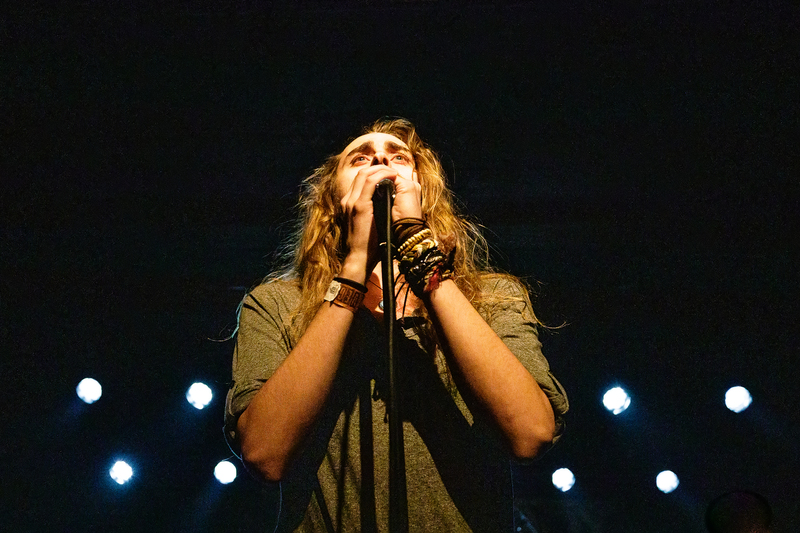 The Kolding-based outfit alternates between moody ballads and driving hard rock chops with an emphasis on strong choruses in which frontman Michael Catton is able to showcase his impressive voice. But while the likes of “7 Billion Souls” and “Song of Reckoning” (the former a brand new piece, the latter off 2017’s “How the Mighty Have Fallen”) are certainly catchy when they steam past your ears, there is no escaping the fact that they are also extremely derivative, offering nothing new nor besting the output of Tainted Lady’s influences. I don’t hate the music, but it does not move me in any way… except close to hysterical laughter when the band whips out a good ol’ Vietnam War protest song which sounds so much like Country Joe McDonald’s Woodstock classic, “I Feel Like I’m Fixin’ to Die Rag”, that I hope it’s a tribute. Because let’s be honest: what relevance could the lyrics “Hey! Let’s get our boys back from Vietnam! Hey!" that Catton tries to get us to sing with him possibly have today? Bring our backpacking boys back from Vietnam? Huh? It could of course be that this country-rocking piece is an actual cover song that I am not aware of, but even then it would be an odd choice for the setting. I am thus left baffled above anything else by Tainted Lady’s admittedly energetic performance which, despite my own reservations, seems to go down well with a handful of the people still gathered in the main room.